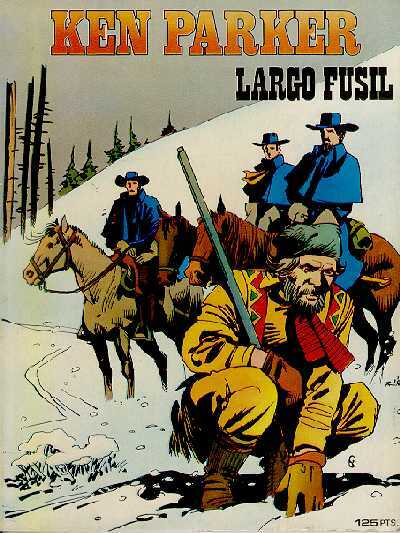 Differently from other countries (for example, in Brazil), the Bonelli comics published in Spain never had a great success. Let's find out the reasons why. 1993, July: Nathan Never, tied to a strange machinery, watches little Ann, his daughter, which walks away. 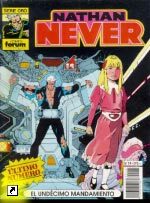 On this cover - n. 19 of "Comics Forum"'s "Serie Oro" (Planeta-deAgostini) – can be read also the most hated notice among comics collectors: "Last Issue". 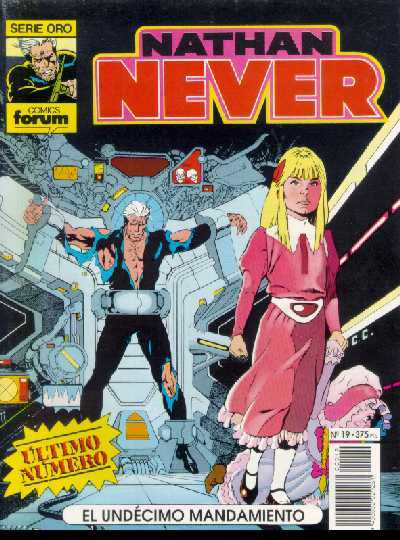 This heading, that had started publications in January 1992 (only six months later the Italian original series), has been an attempt to spread Bonelli comics in Spain, failed as the previous. Years before the same thing happened to other Bonelli characters, e.g. Ken Parker (which presented unpublished covers) and Martin Mystery. Neither Nathan Never nor Dylan Dog will be successful: on the other hand, even the fifty years old Tex hadn't succeed, published occasionally in the '50's, as Texas Bill, and in most recent times. What happens to Bonelli comics in Spain? What are the differences between Spanish and Italian comics reader? It is hard to understand the reasons why stories which sell, in Italy, more than 200.000 copies a month, in Spain are withdrawn from bookstalls, after only two years of issuing, because of modest sell results. According to Planeta-deAgostini the reasons have to be searched in the "trinomial" Audience – Authors – Publishers. In Spain a clear bi-polarization between offer and demand exists: it can be translated in "USA Comics" and "Japanese Manga". This, at least, is what the publisher affirms in his leave article to Nathan Never. Then, if the public asks only for a certain comics genre and certain authors, the publishers adapt themselves. 1) The progressive ageing of the public fond of this comic genre, public that hasn't found a generational replacement. Comics, in Spain, are not read as in the '50/'60 (with comics like El Capitán Trueno, El Jabato, Aventuras del F.B.I., Hazañas Bélicas...). In that time comics enjoyed the interest of almost the whole family, read either by fathers or by children. Today, video-games, TV and computers keep busy new generations' spare time and reading has become nearly a burden or an activity reserved for school. Young people are not interested in classical comics: that's why turn their attention to manga or to new adventures of American superheroes. 2) The poor quality of this comics editions, in comparison with comics of USA origin or with the french-speaking "bande dessinée". Remind that Bonelli's characters, in Spain like in Italy, are issued in black and white, on not lofty quality paper and with no hard-bound covers. This is not, obviously, an handicap for Bonelli comics in Italy, where a tradition in this way exists, but it becomes a drawback in Spain. 3) The quality of drawings in Bonelli editions is not always constant, since – for reasons connected to monthly periodicity of the issues – comics are created by a team of designers and scriptwriters that don't always guarantees the same artistic level. In short, this is not a question of "author's comics" where can be always find the designer-creator of the character. This change of design in every issue hadn't allow to Spanish public to become fond of characters. 4) At last, it must be added that advertising has not been sufficient: in most cases it hasn't even be able to awake the interest or the curiosity of fans. On other hand, for those which don't live in big cities like Barcelona or Madrid, the distribution has been irregular, or even scarce or non-existent. In Italy every newspaper kiosk has an area, perfectly visible, reserved for Bonelli comics, but this hasn't happened in Spain. In some cases not even comics collectors had been able to find or to distinguish new issues amongst the every genre publications that heaps up in the space, often of small size, of newspaper kiosks. After all, these are the reasons of the scarce success of Bonelli comics in Spain. 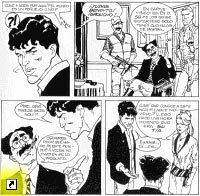 Perhaps there are others as well, but the result doesn't change: the attempts to publish Bonelli comics in Spain stop only after about twenty issues for every heading, leaving the collector without any chance to carry on the reading of the marvellous adventures of his favourite characters.